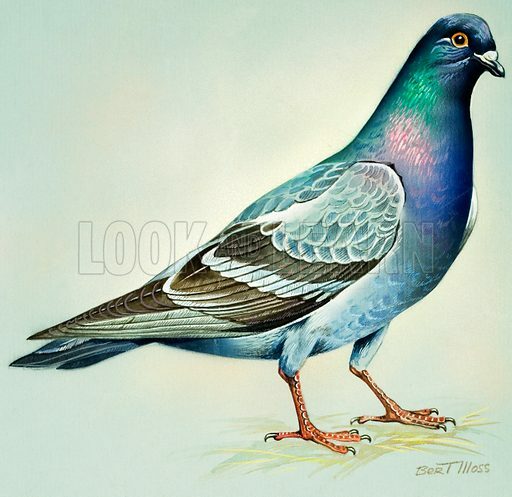 Rock Dove (North America). Original artwork for illustrations on pp 4-5 of Once Upon a Time issue no 113. Lent for scanning by the Illustration Art Gallery. Available worldwide for immediate download up to 4,063 x 3,938 pixels.